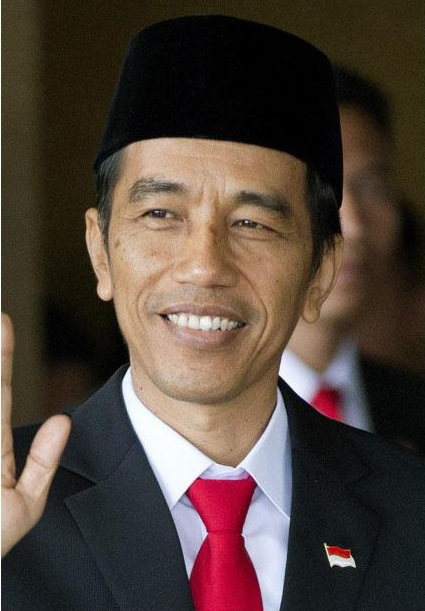 Indonesian President Joko “Jokowi” Widodo arrived in Japan on Sunday evening for an official four-day visit that Japanese officials hope will strengthen the strategic partnership between the two major democracies. He is scheduled to hold summit talks with Prime Minister Shinzo Abe on Monday evening after having an audience with Emperor Akihito and Empress Michiko at the Imperial Palace in Tokyo, according to the Foreign Ministry. After the summit, the two nations will sign an accord on defense cooperation that will involve Japanese capacity-building assistance for Indonesian forces, as well as bilateral cooperation on peacekeeping missions, defense equipment development and military information exchanges, according to Japanese and Indonesian officials. Jokowi’s stay, which will also include a visit to Toyota Motor Corp.’s headquarters in Aichi Prefecture, is part of a weeklong trip that will also take him to China. “It is significant that Japan is Mr. Jokowi’s first foreign travel destination outside the Association of Southeast Asian Nations solely for a bilateral summit since he became president last October,” a Foreign Ministry official in Tokyo said. Jokowi visited China in November for a summit of the 21-member Asia-Pacific Economic Cooperation forum. In Monday’s summit, Abe and Jokowi are expected to affirm a plan to promote talks between their defense and foreign ministers, the official said. Abe and Jokowi’s predecessor, Susilo Bambang Yudhoyono, in December 2013 agreed to launch “two-plus-two” security talks, but the two sides have yet to start the dialogue. Abe and Jokowi plan to reaffirm cooperation in maritime security at a time when Indonesia is vowing to serve as a fulcrum between the Pacific and Indian oceans under Jokowi’s maritime axis doctrine, which calls for eliminating sources of conflict at sea, such as piracy and violations of sovereignty. Jokowi is also likely to seek Japan’s aid in upgrading Indonesia’s port infrastructure and enhancing inter-island connectivity. In the context of ensuring regional peace and stability, the two leaders plan to urge China and several ASEAN member states such as the Philippines and Vietnam to address territorial disputes in the South China Sea based on international law, the Japanese and Indonesian officials said. Abe plans to offer low-interest yen loans to assist construction of what will be a second mass rapid transit line in the Jakarta metropolitan area as part of efforts to ease serious traffic congestion, according to a Japanese news report. The total cost of construction, maintenance and control of the envisaged 32-km (19-mile) MRT system linking the eastern and western parts of Jakarta will amount to ¥100 billion ($833 million), the Sankei Shimbun newspaper said in its Saturday edition. The first MRT system linking the north and south of the capital is under construction with Japanese loans. On Tuesday, Jokowi, a former Jakarta governor, will address a business forum in Tokyo and have a luncheon with Japanese business leaders, according to the Foreign Ministry. Japan is the second-biggest investor in Indonesia after Singapore, with about 1,440 companies operating in the country as of 2013, according to Indonesian data. Japan is the largest export market for Indonesia, followed by China and Singapore, while China is the biggest origin country for imports, followed by Singapore and Japan. 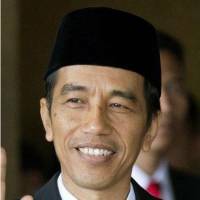 On Wednesday, Jokowi will travel to Nagoya by bullet train to visit Toyota headquarters. The shinkansen could be an option for an Indonesian high-speed railway project to connect Jakarta with Surabaya. Before departing for Tokyo, Jokowi told a press conference in Jakarta that his visits to Japan and China are meant to follow up on his talks with Abe and Chinese President Xi Jinping on the sidelines of the Asia-Pacific Economic Cooperation forum in Beijing last year. “We want to speed up our infrastructure development and revitalization, increase investment and boost maritime industry,” Jokowi said. “Indonesia’s economy is now in the fundamental process of transition from the economy depending a lot on raw commodity exports, to the economy that creates added values, from the consumptive economy to the productive, investment-oriented one,” he added. According to the Indonesian leader, Japan and China are among his country’s top investors and have the potential to make large-scale investments in Indonesia. “In the past 10 years, many big industries have moved some of their factories from Japan, South Korea and China to Southeast Asia and the trend may continue,” the president said. He expressed hope that during his visits, he can concretely explain how Indonesia has been improving its infrastructure either in energy, highways, ports and its one-stop service for investment permits to attract foreign investors. Earlier, Franky Sibarani, chairman of the government-appointed Investment Coordinating Board, told Kyodo News and Jakarta-based newspaper Investor Daily about Toyota’s plan to make a big investment in the automotive industry in Indonesia. Last week, a top government official at the Ministry of Trade said that Toyota has expressed interest in investing about $1 billion in Indonesia. “The $1 billion will be invested to develop and expand the existing (Toyota) factory and the investment will focus on producing export-oriented vehicles,” Sibarani said. “The government will assist (Toyota) with a number of facilities, such as with tax incentives,” he added, saying the automaker’s exports from Indonesia are still relatively small and it is expected that in the near future, 30 percent of output in Indonesia will be exportable.